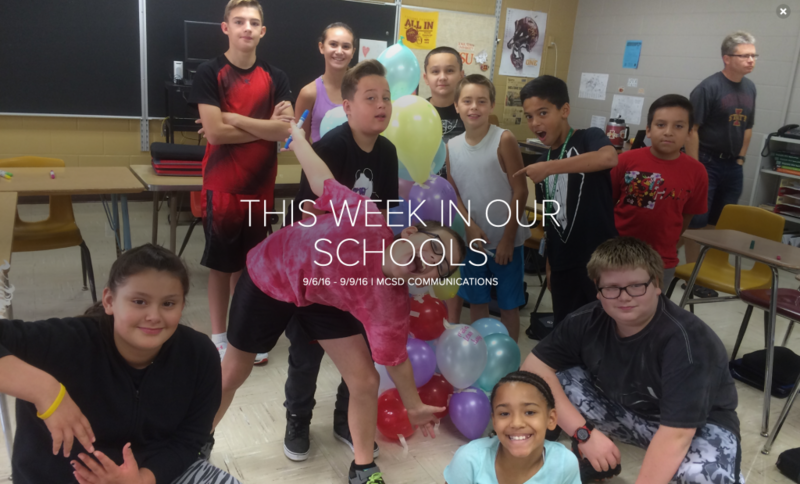 Check out what our students have been doing This Week in Our Schools! Colorado: Mrs. Hines’ Kindergarten Class. Colorado: Mrs. Hartman and Mrs. Truitt’s 5th Graders Learn About Bees. Franklin: Mrs. Holder’s 2nd Grade Art Class. Grant: Miss Dindinger’s Begindergarten Class. Grant: Mrs. Foxen’s 5th Grade Art Class. Jefferson: 2nd and 3rd Graders and Football Fridays! CMS: Mrs. Duffe and Mrs. Turbett’s 6th Grade Social Studies Classes. CMS: 6th Grade Back-to-School Night. WMS: Ms. Schneider’s 6th Grade Service Learning Class. WMS: Ms. Bezdek’s English/Language Arts Classes. MHS: Band/Orchestra Perform for 5th Grade Students. MHS: Mrs. Dicken’s and Ms. Ruesch’s Chemistry Class. MHS: Ms. Christensen’s Geometry Classes. District-Wide: Physical Plant & Equipment Levy Community Forum and Special Vote. Select the picture below to see our students in action!